Indecipherable high-stakes real estate dealings. It says you’ll make 80k in 6 months and later it says $350/day. $350 in 6 months is…. I used to buy “bagel dogs” (w/ cream cheese on a baggett) from a different hotdog cart when I used to hit the clubs in Pioneer Square back in the ’90’s. Too bad the scene is dead there now. Had to google Alley Baggett. Someone needs to coax Japadog into coming to Seattle. I swear it’s the best piece of street meat you’ll ever taste. MY PARTNER KNOWS THE PEOPLE ON THE COMMITY WELL,YOU KNOW WHAT I MEAN! Nudge nudge, wink wink. I love that this whole thing is apparently precipitated on the assumption that this cart will get the contract from the committee, errr, commity, because we KNOW PEOPLE. Entire corporate empires have crumbled based on that very assumption. Think I’ll just stick to selling knives door to door. Thanks! And, sign me up for a couple of Alley Baggetts with cream cheese. Mmmmmm… street meat. 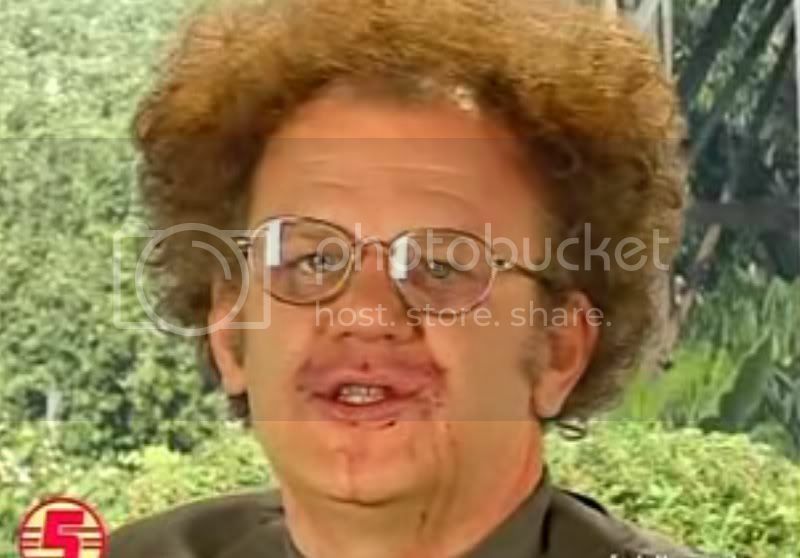 It’s obvious that Steve Brule is behind this. If news reports are accurate, Halliburton was the only company to get rich from the Nigerians. Tug Hulett DFA’d. Luis Pena signed from Brewers. Sounds like a nice pick up. What’s the deal with this dude? The Phillies just signed Miguel Cairo. Ha! Pena? Do we need another AAA bullpen arm? I suppose Z thinks he knows him better than others, coming form the Brewers and all. Now with WFB and Hulett gone, where’s that bench, every position infielder with no bat going to come from? Reegie Corona and Ronny Cedeno? Tuglett had no chance of making the team. Pat Gillick is a manbeast for signing Cairo, BTW. Someone needs to coax Japadog into coming to Seattle. I swear itâ€™s the best piece of street meat youâ€™ll ever taste. Hmmm…this looks familiar. Think I might’ve walked by this cart/stand once was I when in Van for a Canucks game, but I didn’t know the story on what they were selling. Pena has smoke (95ish fastball) and apparently a big league curve and splitter. I love this pick up, he’s got control problems to deal with, but absolutely tore up 2007 (around a 2.65 FIP in almost 70 innings). Any idea on the likelihood of a 26 year old fixing control problems? Gillick is retired and is no longer the GM of Philadelphia. That’s what we all thought at one point, too. Hmmmâ€¦this looks familiar. Think I mightâ€™ve walked by this cart/stand once was I when in Van for a Canucks game, but I didnâ€™t know the story on what they were selling. Seriously it’s fantastic. My fiancee and I took a one-night vacation to vancouver and tried all 3 of the hotdogs on their “Japanese style” menu. My favorite was Oroshi, which is daikon radish and soy sauce on top of a bratwurst. Misomayo was good too, with kaiware sprouts and Japanese mayonaise on top of a turkey dog. I’d stay away from Terimayo though, it’s got a pretty weird taste. Lailaihei – Thanks for the info. I’ve never had Japanese mayo, though, so I’m curious as to what’s different with it (wasabi, perhaps?). That being said, I think the Uwajimaya hypermart down in the Int’l District would be a great location — conveniently close to The Safe, no less. Aaaaaaaand Larry Stone adds a long post about an interview with JJ, including thinly-veiled comments about Ichiro not being a team player, being to stat oriented, etc. IMO, the last sentence of the post is the only rebuttal needed. Think Iâ€™ll just stick to selling knives door to door. Thanks! The only thing missing from this ad is a picture of the SHAMWOW! guy. Maybe you can drop another $500 and pick up a Joey Cora autographed ball. Must have A-rod steroid residue from the crying moment in 1995. Also, would you buy any kind of business from a person that can spell neither business or Pioneer? Stay with me, camera guy. That Shamwow guy is my IDOL. The Shamwow seems to have a bit of an attitude…whereas Billy Mays is just LOUD (too many years spent working in a noisy environment with no hearing protection, perhaps? 😮 ).